Another intriguing day of transfer news, rumors, speculation, gossip surrounding the Gunners. There are some interesting and fascinating news, so without further ado here is the Arsenal Transfer News Roundup. A very interesting headline, as the highly-rated Jose Enrique, is linked for a move to the Gunners. Jose Enrique has been mentioned and touted as a potential replacement for Gael Clichy, who's been stalling on a new contract and is said that he has intentions of leaving the Gunners. Sky Sports speculates that Arsenal will be fighting with Liverpool for his signature, if they seriously want to buy the Spanish left back. 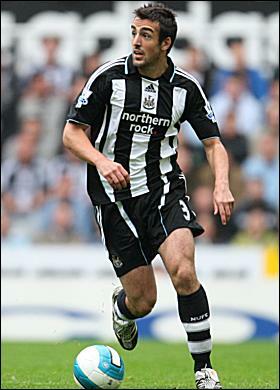 Jose Enrique is reportedly valued at 15 million pounds. 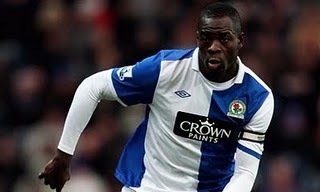 Skysports report that the Gunners are stepping up their pursuit and interest for the giant Blackburn defender and skipper, Christopher Samba. Samba has been targeted by the Gunners for a while now, and almost moved in January. It looks like that Wenger and the Gunners might get their man, this summer as the Gunners are serious about acquiring him. Blackburn value him at 12 million pounds, but there are reports suggesting that Arsenal can get him for less than that, at around 10 million pounds. What do you think? Should Arsenal go for Jose Enrique if Clichy leaves? 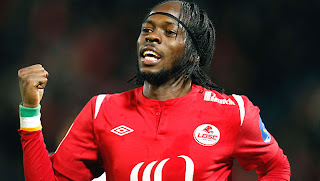 What do you think of the Gervinho saga? Do you think that Christopher Samba is the player that the Gunners need? Please share your thoughts and opinions.